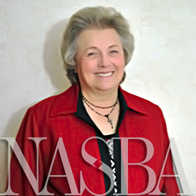 We continue our series on NASBA’s committees with a look at the Compliance Assurance Committee. The Compliance Assurance Committee’s charge is to promote effective oversight of compliance with professional standards by CPAs and their firms. According to Leona Johnson, NASBA’s Compliance Assurance Committee staff liaison, what makes the Committee so important to NASBA and its mission to enhance the effectiveness and advance the common interests of state boards of accountancy is the Committee’s work to educate state boards on the importance of Peer Review Oversight Committees (PROCs), and provide assistance, when needed, to get PROCs established. “Peer review and PROCs are vital elements that need to be in place to support Firm Mobility,” said Johnson. NASBA and the Compliance Assurance Committee recently hosted the PROC Summit, July 10 in Nashville, TN, which is a conference held every other year to support and promote peer review oversight as a critical and valuable practice for all Boards of Accountancy. The Summit is intended to assist boards in learning how to establish a new PROC and also share experiences among existing PROCs to help each board be more effective with peer review oversight. In addition to featuring an explanation on PROC standards and uniformity and a panel discussion about managing PROC programs, this year’s Summit included two different breakout sessions, one specially designed for Boards that do not have a PROC, and the other intended for established PROCs. Compliance Assurance Committee Chair Janice Gray also unveiled a new PROC Resources section of NASBA.org during the Summit, which contains a repository of state PROC reports, training videos, checklists and templates, and other training and implementation tools and guidelines for Boards to use to either strengthen existing PROCs, or to start new PROCs from scratch. The Compliance Assurance Committee also participates in outreach programs to increase state boards’ awareness of peer review. Johnson said that Gray, along with James Brackens, Vice President of Ethics and Practice Quality at the AICPA, have been making presentations on the importance of peer review and PROCs at boards of accountancy across the U.S. This presentation is available online. For a listing of representatives serving on the Committee, visit the Compliance Assurance Committee page. You can also find more information about the 2013 PROC Summit, including session details and meeting materials, in the Meetings & Events section of this website.